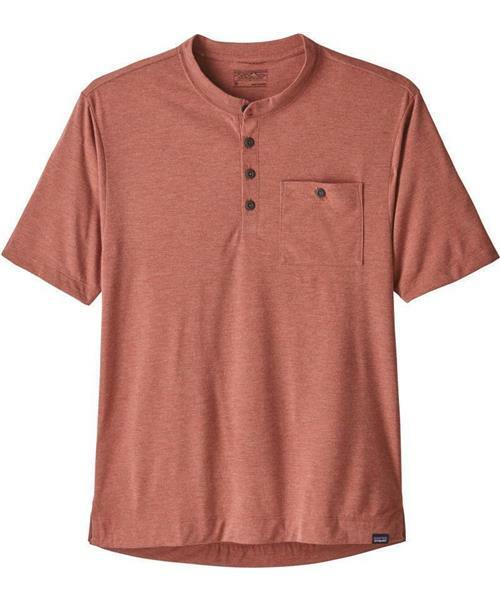 A simple, high-performing henley that keeps you cool on and off the bike. Its soft, lightweight, moisture-wicking fabric stretches, breathes and dries quickly on rides when you’re working hard or passing through different temperature zones. Bike-specific detailing includes articulated seams and a longer back hem; Polygiene® permanent odor control will make sure you’re admissible at the pub post-ride. With a buttoned chest pocket and a small woven label at the bottom hem.